Lawsuit Filed Regarding Copying of Product Design (Acts of Unfair Competition) - News Releases | Yamaha Motor Co., Ltd.
Yamaha Motor Co., Ltd. filed a suit against Eco Trade Co., Ltd. (based in Oita Prefecture, Japan) and Taiseienter Co., Ltd. (also based in Oita Prefecture) today in the Tokyo District Court. 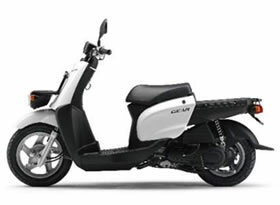 This suit states that both companies' activities, including the manufacture and sale of specific electric motorcycles, amount to the copying of Yamaha Motor's "Gear"* model product design and therefore fall under the category of "acts of unfair competition." 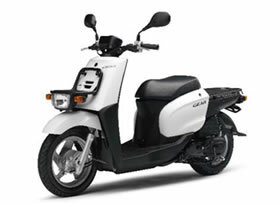 Yamaha Motor seeks compensation as well as an injunction against the manufacture and sale of these electric motorcycles. Yamaha Motor had attempted to reach an amicable resolution with both companies as to this issue through negotiation, but was compelled to file the lawsuit as it was determined that it would be difficult to resolve the issue through negotiation. *Related Yamaha Motor products in this lawsuit: "Gear" series including the "Gear BX50" and "Gear BX50N"